At Lunch, we provide a range of freshly prepared meals that are perfect for those on the move and in the office. At Lunch we are able to provide you with a bespoke catering service whether it's 2 or 200 people with a range of options to suit any budget. We are happy to provide you with a quote on any event. At Lunch, we provide an office delivery service for those who don't have the time to leave their office for lunch. 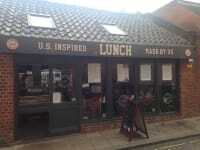 Best burgers in Colchester. Be sure to pop by and try these little beauties. My favourite is the No salad burger with two rashers of bacon, onion rings cheese bbq sauce and that’s it. Not even a whiff of the green stuff. Highly recommended. 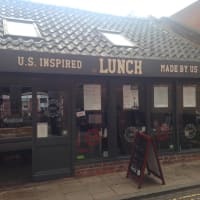 A fantastic little sandwich shop tucked away in the middle of colchester it's a blink and you'll miss it place but they have a great range of sandwiches and salads now that i have found it, i wont be getting my lunch from anywhere else.